Chad Knaus is among the hardest-working pit bosses in NASCAR. 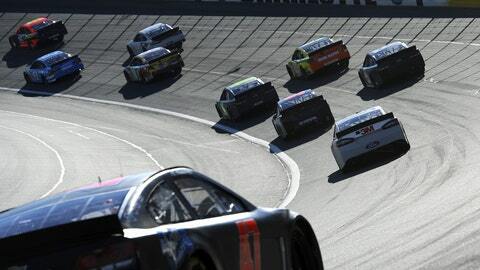 This is the period in NASCAR that is called the "offseason." The reality is that’s a myth. We simply aren’t going to the racetracks on Thursday afternoon and staying until late Sunday afternoon right now. What crew chiefs are doing right now in the supposed "down time" actually depends on how your 2013 season went. If you had a decent year, then your goal is to fine-tune and improve the weak parts before jumping off into the 2014 schedule. Trust me, every team is looking for a little more magic, naturally a little more speed, and always striving for more driver comfort. If you are one of the teams that struggled in 2013, then your list of areas to improve in gets somewhat longer. You will be looking almost to tear down and rebuild. That could mean bringing in replacements where key personnel are concerned. Identifying your weaknesses is paramount. Right now is so extremely critical for a crew chief to improve his team. He has to keep the driver happy. That, in turn, leads to better performance. That, obviously, leads to a happier owner and an even happier sponsor. The time, though, is now to make the improvements. 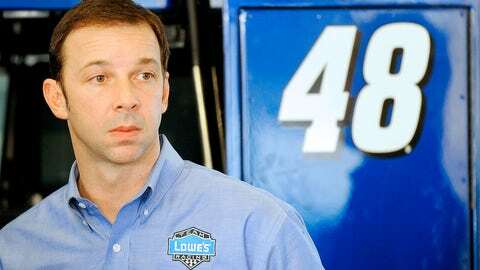 Despite six championships, Chad Knaus is the epitome of a crew chief who identifies the No. 48 car’s weaker areas and doesn’t hesitate to make changes if he believes it will make the team stronger. He does that, but also keeps things consistent to where the winning continues. That, again, shows the comfort level that Jimmie has with Chad. He sees the changes that are made whether it’s back at the shop, the road crew or the pit crew. He knows Chad is only doing it to stay ahead or, at a minimum, keep up with the other teams. Sometimes you simply evolve because your road guys get tired and burned out. So you move them back to the shop and replace them with someone fresh. Those are critical decisions that aren’t taken lightly. You have a championship-winning team, but you need to replace great people with equally or even greater people. It’s not like they are a dime a dozen just hanging out waiting on the phone to ring. Like I said earlier, we call it the offseason but the reality is it’s anything but. To me, this is the critical time when a team is defined for the upcoming season. It’s the decisions made today that ultimately can lead to your team being the crowned the champion in early December 2014.